Beginning in the 2011-12 season, Pacific Symphony undertook a major opera and vocal initiative in an effort to restore local, professional productions of this irreplaceable art form to Orange County—one opera at a time. Masterminding the effort is Music Director Carl St.Clair, whose stellar reputation as an opera conductor in Europe sets the ideal stage for such a venture. St.Clair recently concluded his tenure as general music director and chief conductor of the German National Theater and Staatskapelle (GNTS) in Weimar, Germany, where he led Wagner's "Ring Cycle" to great critical acclaim. He has also served as general music director of the Komische Oper Berlin. 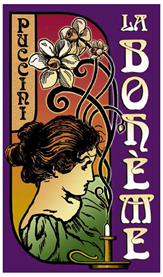 With a three-year plan in place, the Symphony began by presenting one of Puccini's most popular and heartbreaking operas, "La Bohème," in a semi-staged production over three glorious nights. 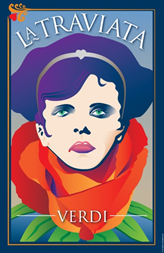 Carefree Bohemians and star-struck lovers; penniless, hungry and ill fill the concert stage with their astonishing voices as Puccini's sad tale unfolds—assisted by stage director A. Scott Perry, world-class opera stars, the Pacific Chorale and the Southern California Children's Chorus. Also on the schedule in 2012 were two semi-staged performances of "Hansel and Gretel," adapted for children, as part of the Family Musical Mornings series. In the 2012-13 season, Pacific Symphony brought to life the tragic Puccini opera "Tosca" with Claire Rutter, Brian Jagde and George Gagnidze in the starring roles. 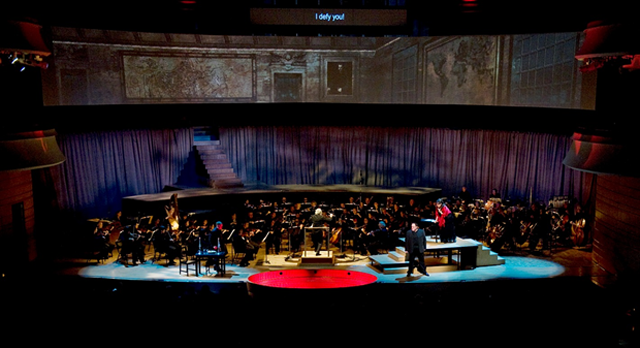 The stunning semi-staged production under the art direction of Eric Einhorn amazed the sold-out audience with video projections on a semi-circular screen behind the orchestra creating a unique experience (see the picture above). "St.Clair and the Pacific Symphony once again dominated the evening, bringing Puccini’s orchestrations up front in fully upholstered luxury," as Richard S. Ginell put it in the Los Angeles Times. Alejandro Gutiérrez made his conducting debut with Pacific Symphony as assistant conductor with two performances of "The Magic Flute" January 12, 2013. With the hard work and dedication of Pacific Symphony’s Family Musical Mornings team, as well as the wonderful collaboration with both Chapman University and Long Beach Opera, the modified version of Mozart's opera delighted children and adults alike. The initiative continued in 2013-14 with Pacific Symphony’s Classical Series production of Verdi's "La Traviata" (Feb 20-25, 2014). This beautiful and sad tale of love and death has entranced audiences for centuries and formed the basis for many adaptions—including the 2001 blockbuster “Moulin Rouge.” Family Musical Mornings audiences also experienced another fabulous opera adaption—a modified version of Donizetti's comic gem "Elixir of Love" (Jan 11, 2014). The 2014-15 season featured sold-out performances of Bizet's fiery "Carmen" (Feb. 19-24, 2015) on the Classical Series featuring Orange County's own diva Milena Kitic in the title role, while the Family Musical Mornings audience enjoyed a kid-friendly version of Rossini's comic gem "Cinderella," another successful collaboration with Chapman University. 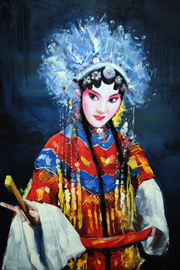 The Opera-Vocal Initiative continued in the 2015-16 season with performances of "Turandot" (Feb. 18-23, 2016), Puccini's spectacular masterpiece about a bloodthirsty princess whose icy, vengeful heart softens as she comes to know true love, as well as a family-friendly version of Gilbert & Sullivan's "Pirates of Penzance" (Feb. 6), once again in cooperation with Chapman University. In the 2016-17 season, Music Director Carl St.Clair conducted Verdi's exotic masterpiece, "Aida" (Feb. 23, 25 and 28, 2017) and the Family Musical Mornings schedule included the popular children's opera "Hansel and Gretel," led by Assistant Conductor Roger Kalia (Jan. 14, 2017). The 2017-18 season features "The Magic Flute" by Mozart (Feb. 22, 24 and 27, 2018), led by Maestro St.Clair, and Assistant Conductor Roger Kalia conducts a child-friendly adaptation of "Fledermaus - The Bat-Man's Revenge" by Strauss Jr. as part of the Family Musical Mornings series (Feb. 3, 2018). To find out more about the Opera and Vocal Initiative or to support this major undertaking, please contact Senior Executive for Special Campaigns & Major Gifts Gary Good at (714) 876-2360 or ggood@pacificsymphony.org.